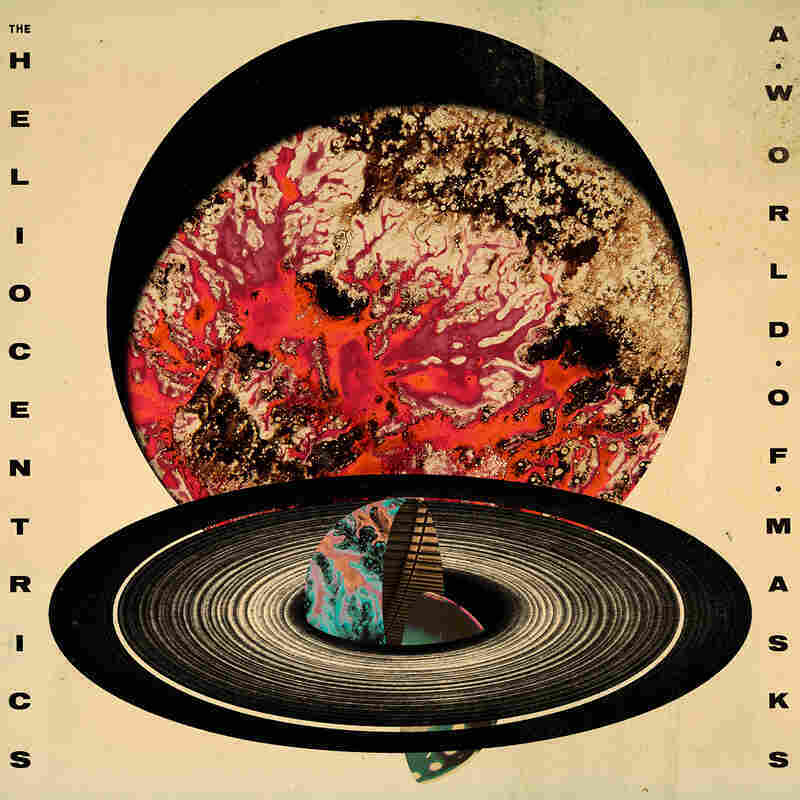 Stream The Heliocentrics' Forthcoming Album, 'A World Of Masks' This UK-based funk ensemble took its name from a Sun Ra album. One listen to A World Of Masks and you'll hear why. When a band is capable of many musical styles, it can be thrilling to hear them all on a single album. But it can be just as fun when the group dives deep into one mode, focusing their musical experience and artistic imagination into a coherent vision. That's how the Heliocentrics' fourth album, A World of Masks, feels. The UK-based ensemble, which has included up to nine members, has in the past delved into hip-hop (first making their name on DJ Shadow's 2006 album The Outsider), jazz, psych, funk, Afrobeat and more. A World of Masks hints at all those styles, since musical diversity is baked into the Heliocentrics' musical DNA. But throughout 11 tracks totaling 45 minutes, the group concentrates primarily on otherworldly psych-funk. Each piece feels like part of an overall suite, a kind of limitless cosmic jam the band could seemingly play forever. Heliocentrics songs always originate from improvisation, but that's clearer this time around. The loose nature of their unfettered journeys evoke European collectives like Can and Träd, Gräs och Stenar as much as space travelers like Funkadelic and Sun Ra (who, not coincidentally, made two albums in the '60s called The Heliocentric Worlds of Sun Ra). The focus on A World of Masks comes partially from a new development. Heliocentrics tunes are usually instrumental, but on more than half the album's songs, Slovokian singer Barbora Patkova improvises lyrics, often in her native language. Her vocals are just as space-bound as the Heliocentrics' music – at times she evokes the striking Sun Ra Arkestra singer June Tyson – but they also provide a framework for the band's elastic jams. The album opens with her most out-front performance, as she sears across the slow build of "Made of the Sun," forging a vocal-instrumental symbiosis that persists throughout A World of Masks. Patkova's presence allows the Heliocentrics to swirl sounds around her, shifting constantly like magnets seeking a pole. On the title track, rumbling percussion and persistent bass gather until flutes break in, mimicking Patkova like birds. Her croons in "Oh Brother" enhance the music by both reflecting it and pulling it higher. Patkova's presence is so affecting that you can hear her echoes even in instrumental tracks. Take "Square Wave," a meditative bass-drum cycle replete with guitar ascensions that resemble soaring voices. On an album filled with far-reaching travels, The Heliocentrics save their most expansive trip for last. Closer "The Uncertainty Principle" starts with a cloud of electronics and bass — as if the universe itself is slowly warming up — then hits an insistent pulse and a web of sun-lit sounds. As on all of A World of Masks, the band doesn't force its peaks; all the momentum comes from playing what comes naturally and letting the rest take care of itself. That patience is one of the Heliocentrics' many strengths, and A World of Masks showcases it perfectly.